The EPA threw the Colorado Department of Natural Resources under the bus when the feds claimed that state officials endorsed the wayward plan that ignited the Gold King mine spill. But the AP now says in an exclusive report that the state claims it had nadda to do with that plan. The AP says King’s letter has lawmakers in Washington questioning the accuracy of the federal government’s investigation into the incident. 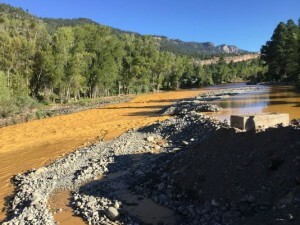 King’s letter is a blow to the EPA’s contention that outside technical experts supported its plan to push a drainage pipe through debris covering the entrance to the Gold King Mine in southwestern Colorado on Aug. 5. The extensive AP report is a fascinating story, readers should check it out on the U.S. News and World Report website, all 653 words of it. Don’t bother reading it on the Denver Post’s site, they posted a bizarrely abridged version that only bothered to include 136 words of the story, which excludes some things we just told you about.